8 Recycling Business Ideas You Can Start Today! Today there are many ways to start a small profitable business to earn some extra cash and help your local community at the same time. The waste and recycling industry offers a variety of opportunities for someone looking to do just that. 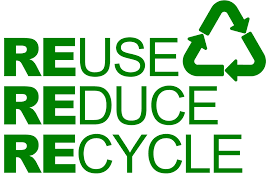 You simply need to find materials that are being discarded but can easily be reused, resold or recycled. Below we have listed 8 recycling businesses you can start today with minimum investment. How To Stay Motivated When Working From Home!